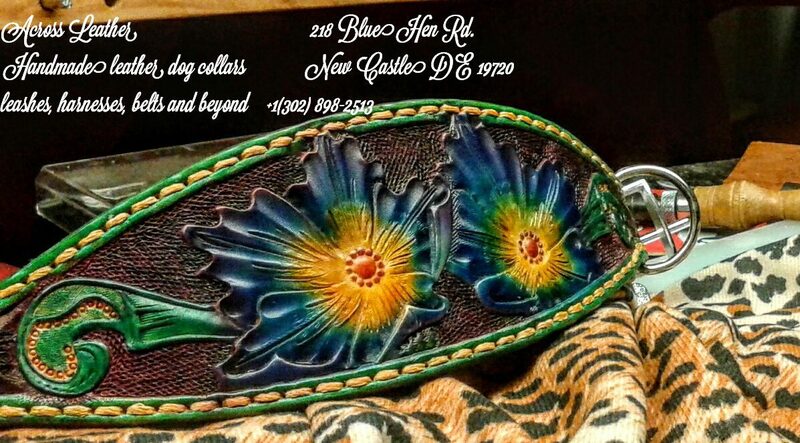 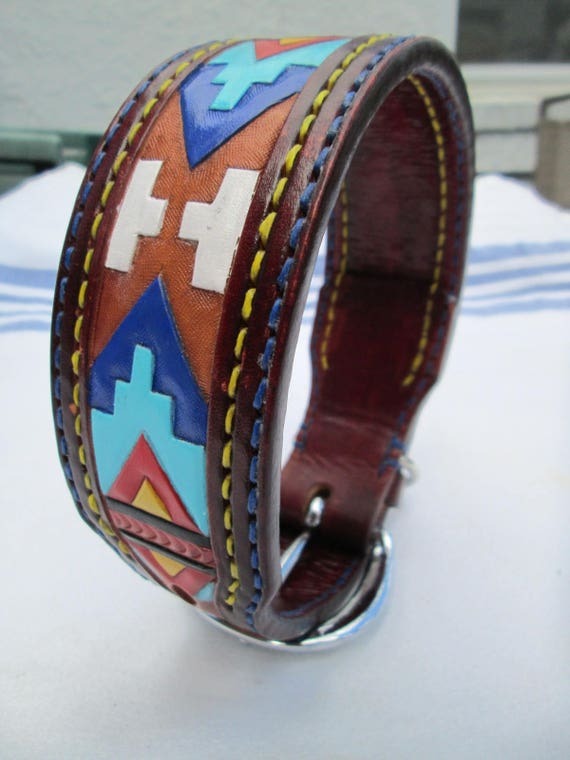 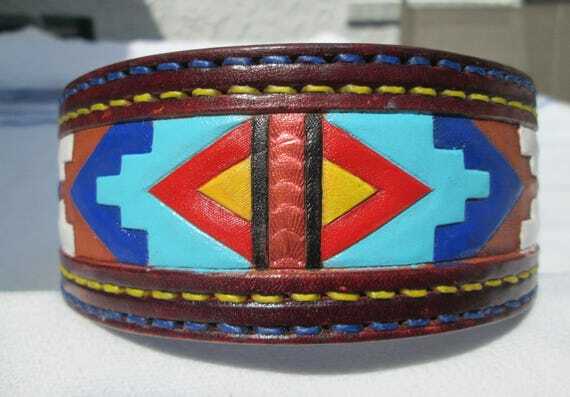 Leather dog collars with Irish in mind are these custom tooled handmade 1″ wide with 5/8″ stylish tapered ends collars. 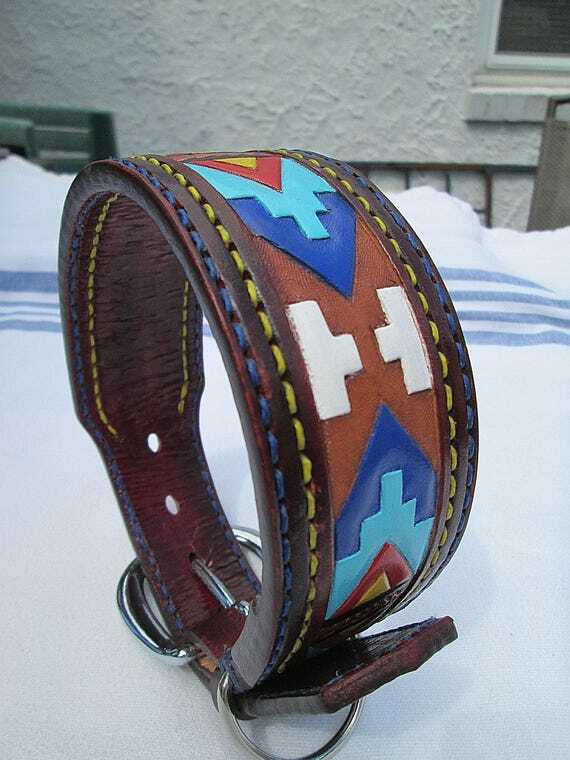 These are the latest leather bounty from acrossleather . 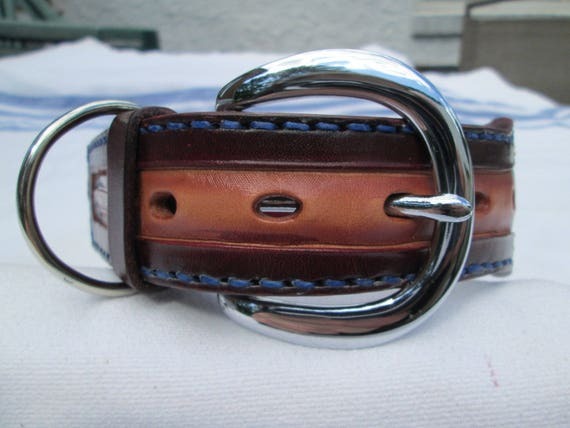 Made for 3 very special Blenheim Spaniels.